I love making up stories. I’ve had a lot of fun inventing flying strawberries, extraordinary islands, and talking cats to amuse my young friends. I also love helping young people invent stories—either in school as a teacher or at home with friends and family. This post is about storytelling with gizmos, tools that will make the stories more interactive and entertaining in this technological age. Now truly, gizmos are not necessary. One of my favorite yearly activities has been stapling together the pages of last year’s calendar and using them with young friends to invent a story. But sometimes, technology is fun. I’ve already mentioned Disney’s Kerpoof! as a resource for creating online stories, as well as pictures, cards, and other options. The site is designed for elementary age children, but I will admit to having some fun with it as well. Creating an online book is as easy as dragging and dropping scenery and characters, then adding text. One of my students and her children particularly enjoy Storybird, another online option for story creation. Storybird is less varied than Kerpoof, in that it focuses specifically on creating online stories, but it serves a wider age range. The art that is available for storytelling is beautiful and varied, suitable for children and adults. Like Kerpoof, the interface is simple to use. The books you create can be viewed online, shared, or printed. Some of the samples are truly lovely. But the latest options for storytelling have arrived with the advent of iphones, ipads, and ipod touch. I’m sure there are apps for other tablets as well, and I’d be delighted if you shared them, but for today we’ll just look at just one ipod/ipad app, Storykit. Storykit is free. 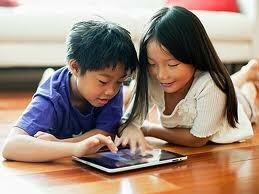 Created by the International Children’s Digital Library Foundation, it is available for ipod (touch) or ipad. It is simple enough for children to use to create portable stories, as soon as they have mastered basic navigation. They can use photos from your photo library or art created on screen with a simple drawing option. This short video explains how to use Storykit, and is presented clearly enough that it could be a good introduction to share with young people. Storykit is idea for schools that have available ipads, as it allows for students to create stories at varied levels of complexity. 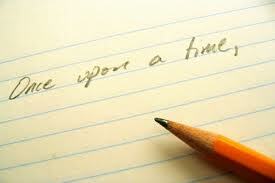 So grab a pencil, a computer, or an ipad, and let’s tell some stories. Thanks! I’m glad you find it useful. I sure enjoy all the things I learn while blogging. « Family Fun #3: When Summer Gives You Lemons….